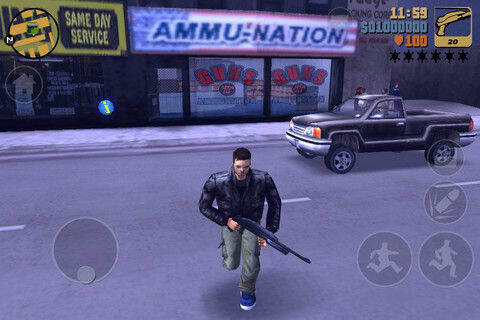 Grand Theft Auto III, the game that put Rockstar on the map and launched one of the most influential and critically celebrated gaming franchises in history, is now available for your smartphone. After being announced earlier this month, the game has officially hit iOS and Android for $4.99. The 10th anniversary Edition of the game features updated graphics and overhauled game controls and interface optimized for touch screen devices. Get it now in the App Store and Android Market.